Export Mac Outlook OLM file in MBOX file format with OLM to MBOX Converter. The tool supports the OLM file of Mac Outlook 2016 and 2011. View output MBOX files in different 17+ email clients. With OLM to MBOX conversion tool, You can easily migrate the OLM file of Mac Outlook 2016 to MBOX file format. All the default folders of the email account including Inbox, Deleted Items, Sent Items and other folders are also being converted in MBOX file format. The attachments and text formatting of emails remains preserved. This OLM to Apple Mail Converter does not hamper the original folder structure of the Mac OLM file during conversion. To get the benefit of this option, You need to enable the checkbox beside the option. You can also apply the date filter to get the data of a particular timing as per your requirement . After getting the OLM file converted into MBOX file format. You can easily open the output MBOX file in multiple MBOX supporting email clients like Thunderbird, Apple Mail, Eudora, Entourage, the Bat, EarthLink, Turnpike, Netscape, Berkeley mail, Pocomail, the Bat, Spicebird mail etc. 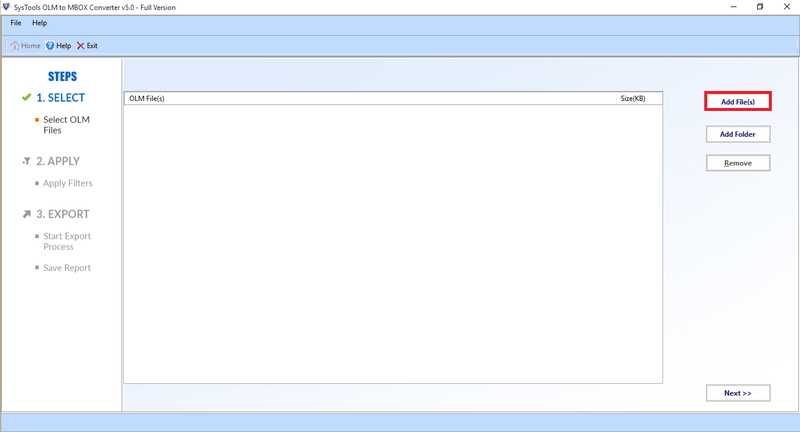 Thunderbird supports MBOX file format for mailbox. 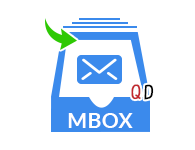 OLM to MBOX Converter allows you to import Mac Outlook 2016 OLM file to Thunderbird. During the conversion process, The folder integrity of the inbox remains preserved. The tool permits to move Mac Outlook OLM to Apple Mail. Since Mac Mail is one of the most widely used email clients on Mac OS. The converted MBOX file can easily be imported and opened in Apple Mail. 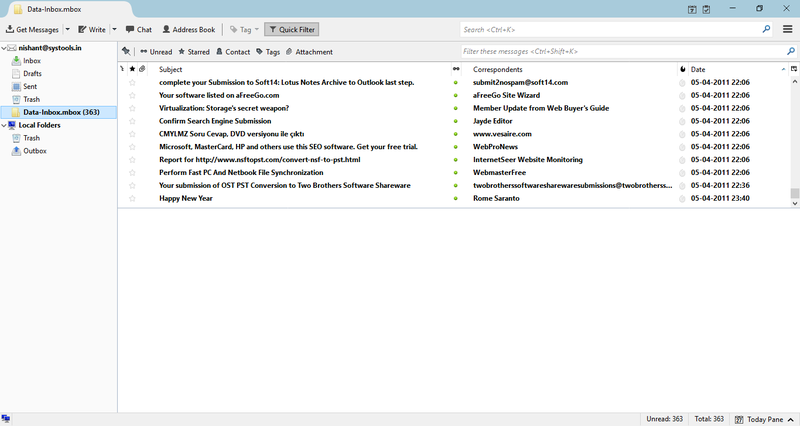 MBOX file consists of emails. Every email as certain associated properties and fields. During the use of this tool, there will not be any harm to any meta property like To, bcc, cc, sent date, email id, hyperlinks, received data, attachments, etc. OLM File: .olm is the format of the data file extracted out of Mac Outlook. OLM file is not located anywhere on your system locally. The OLM file is only supported by Mac Outlook, not any other email client. You can open the OLM file only in Mac Outlook 2016 or 2011. MBOX File: MBOX file denoted the mailboxes for multiple email clients. So, MBOX is the file format supported by mulitiple email clients like Thunderbird, Mac Mail, Eudora, Entourage, Turnpike and many more. -- Any medium level organization does not want to spend money just to manage the less complicated information. So, they can go with several open source and MBOX supporting email clients like Mac Mail, Thunderbird, Eudora, etc. -- There may be situation that you just need to change your email client from Outlook to some other free desktop based email client at your workplace. Apple Mail also known as Mac Mail supports MBOX data file for mailbox. QuickData OLM to MBOX Converter helps you to convert the OLM file in MBOX and then import output MBOX file in Apple Mail. Free OLM to MBOX Converter converts first 25 emails per folder. Step 1: Download the Software and install on your computer. Click on Add File button to load OLM file . Step 2: Then, the export process starts. Step 3: You will get a notification after the completion of export process. Step 4: Now, You can open the MBOX file in Thunderbird. Is it possible to import Mac OLM to Mail.app? OLM to MBOX Converter is completely Windows based utility. However, after converting the Mac OLM file into MBOX on Windows, You can import that MBOX file in Apple Mail. I have an OLM file of 1000+ emails. Will OLM to Apple Mail tool convert that OLM file into MBOX format? Yes, There is no file size limitation with OLM file for conversion. Can I run the software on Windows 10? The tool is compatible with all the versiions of Windows including Windows 10 and Windows 8. Thank you QuickData for developing such a great utility to convert my OLM files in bulk to MBOX file format. I was using Mac Outlook, don't have so much information to manage. So, I was looking for some open source email client like Thunderbird or Mac Mail. This tool solved my issue in few clicks. Thanks a lot. You guys are providing a great support with a team of knowledgable people. They helped me at every point I need the help. I have successfully transfered my Mac Outlook 2011 to MBOX. Really a part of appreciation.